Are you game-day ready? 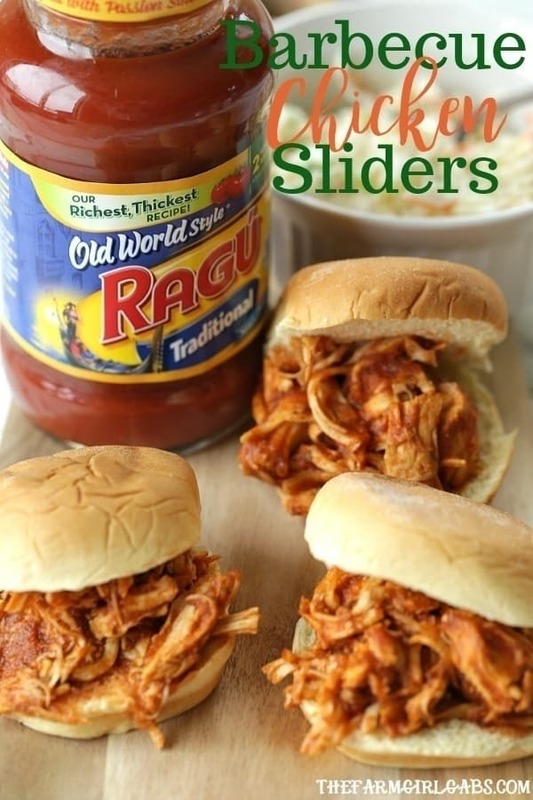 These Shredded BBQ Chicken Sliders are perfect for your big game football party! Now that the teams are set for the big game, it’s time to focus on one thing – THE FOOD! The big game has a special way of bringing everyone together. There are folks who are totally into the game and there are folks who are not. But, my motto is “feed them and they will come. Food has an amazing way of bringing everyone together, whether your team is playing or not. Serving a good game day spread is the perfect way to unite. 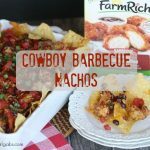 The perfect way to ensure a perfect game day party is to prep as much as you can ahead of time and serve a variety of foods that are not complicated to prepare. 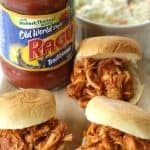 I have partnered with Babbleboxx.com to share a delicious Shredded BBQ Chicken Sliders recipe and some game day party essentials. The key to a successful game day party is to have ingredients in your pantry to help get the party started. 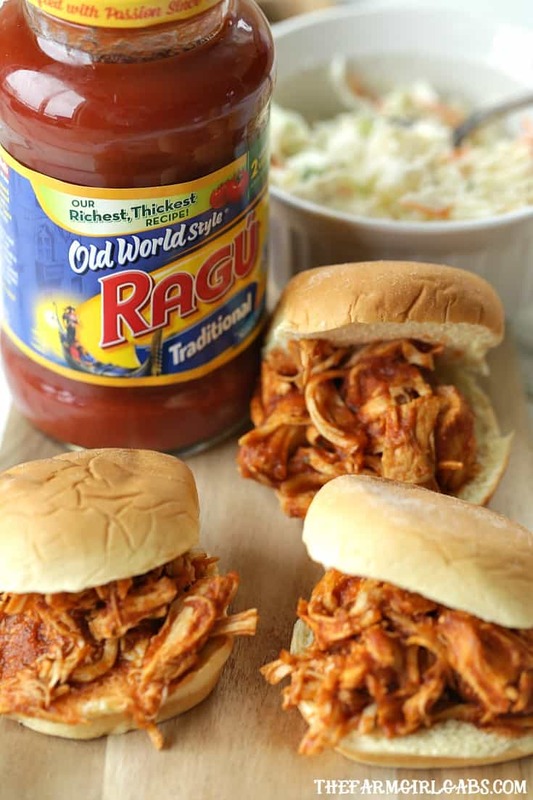 I like to keep a jar of both RAGÚ® Double Cheddar Sauce and RAGÚ® Old World Style Traditional Sauce in my pantry. Sauces aren’t just for spaghetti recipes. 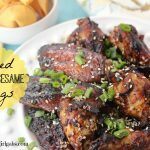 They’re also great for quick appetizers while watching the big football game. 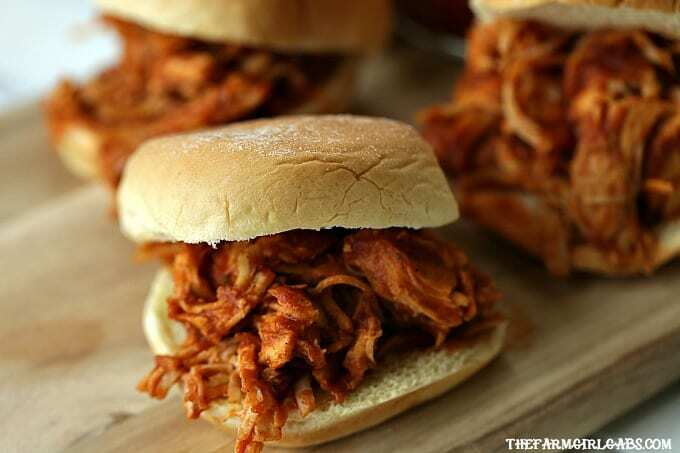 These Shredded BBQ Chicken Sliders are perfect for your big game football party! They can be made ahead of time so you can spend more time watching the game. Don’t forget to serve these sliders with some Garden of Eatin’® Chips . What’s a party of any sort without some nice crunch? Another game day must – BBQ Sauce and Ketchup. Add this Red Duck Smoked Applewood Molasses BBQ Sauce to some ribs. Fry up some french fries in the new Midea Air Fryer . This handy gadget is sure to be the MVP at your party because it allows you and your guests to enjoy the classic and crisp taste of fried foods with less than 80 percent of the fat than if they were deep fried. And don’t forget to top those fries with some Red Duck Smoky Ketchup. 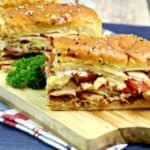 The filling and inexpensive BIG AZ® Sriracha Chicken Sandwich with cheese deliver a kick with its tangy-sweet hot sauce. The Sriracha-covered grilled chicken is topped with a slice of cheese and served on Advance Pierre’s signature corn-dusted bun. BIG AZ Sandwiches are sold in convenience stores all around the United States. BIG AZ offers over 9 Lunch sandwiches and 4 breakfast sandwiches to satisfy BIG AZ hunger. The Italian in me loves to serve a selection of Formaggio Italian Cheeses as part of my big game spread. My family loves Fresh Marinated Mozzarella Salad. Artisan Wraps Italian style meats wrapped around finger length fresh mozzarella are a perfect finger food. These meat and cheese wraps are hand-rolled with love so you can enjoy savory meats wrapped around soft creamy center of fresh mozzarella. Add pasta sauce, brown sugar, vinegar and seasonings to a 6-qt. large saucepan. Simmer fifteen minutes. Add chicken and continue to cook for 30 more minutes until chicken is cooked through. Remove chicken from sauce and use two forks to shred. Return shredded chicken to sauce. Serve on toasted slider buns.